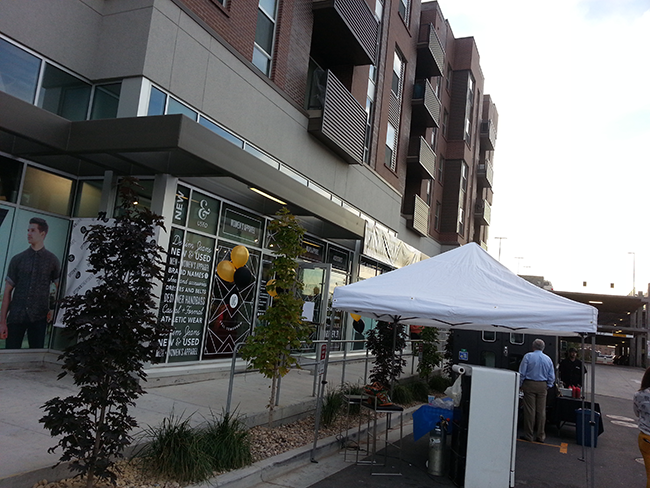 Last Thursday night (Oct. 16th) was the grand opening of Uptown Cheapskate's new Sugarhouse store, located just south of the Chevron station on the corner of 13th East and 21st South in Salt Lake City. 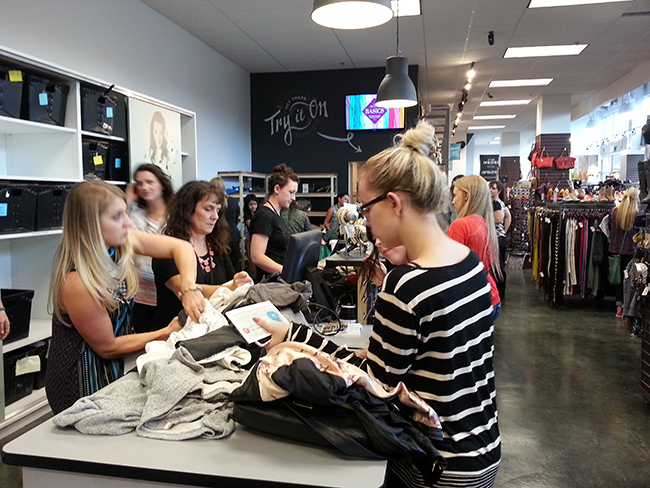 The store was packed full of beautiful secondhand clothing, and despite the crowd, there was plenty of staff on hand to assist the plethora of customers. 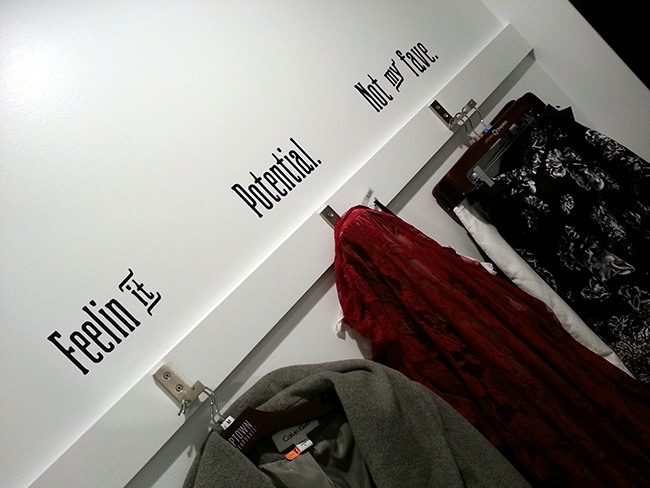 I always love browsing Uptown Cheapskate's racks, but at the grand opening party, I hit an extraordinary stroke of luck and happened upon a gorgeous gray wool/angora Calvin Klein trench that seems to have been pulled straight out of Olivia Pope's divine coat closet for a mere $30, as well as a black and pink tweed coat reminiscent of Jackie O for just $10 and an awesome doctor-bag inspired black & cream purse for $14. Uptown also stocks a selection of new items for less than department store prices, and I picked up a new taupe moto jacket for $30 and a pretty red lace duster cardigan for my sister for just $14 - not to mention the pretty necklace, bracelet and earrings I scored for less than $5 each. 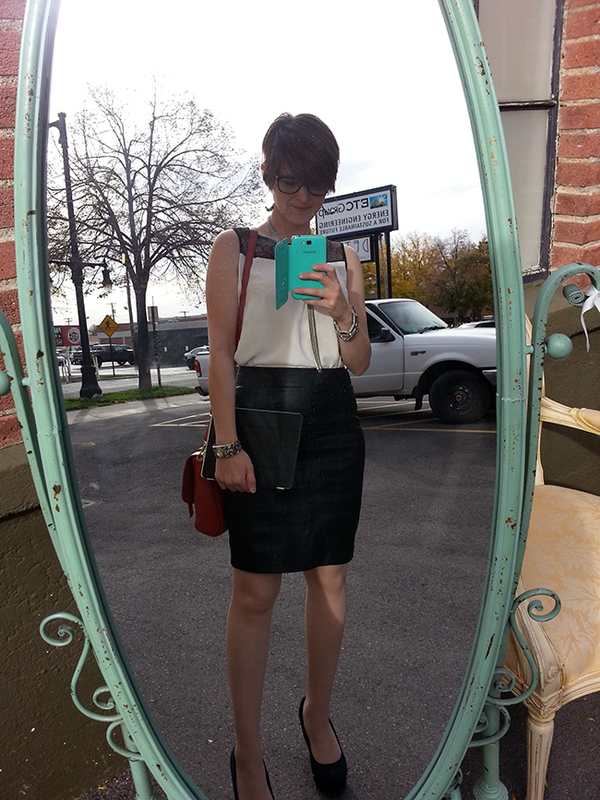 The Sugarhouse store's opening is particularly fortuitous, considering that I've recently decided my closet is in need of a massive redesign to better fit my current aesthetic - the mini skirts I so loved three years ago just aren't cutting it any more. I started clearing it out the weekend after the grand opening celebration, and unloaded a pile of clothing that was sucking up valuable space for a pretty penny (of course, you can always opt for store credit to get more bang for your secondhand buck). 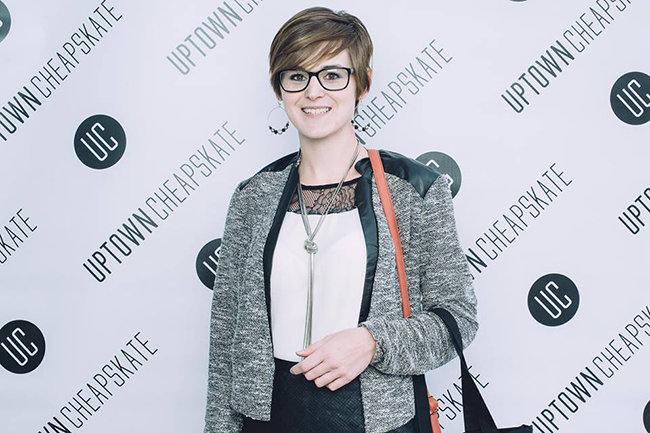 Regardless of whether or not you decide to schlep a bag of your old stuff on down to Uptown Cheapskate, you should definitely take a minute (or an entire evening) to swing by the new location and check out their inventory. The store is chock full of great stuff you won't find anywhere else, and beautiful brand name items can be found here for a fraction of the original price. 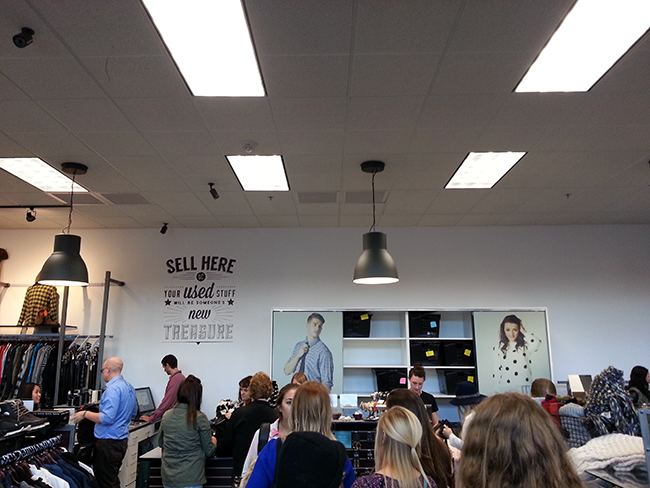 The spacious store is well staffed and has both a men's and women's section, and features plenty of dressing rooms with conveniently labeled hooks upon which to organize your finds. It's easy to find, and with plenty of parking available in the dedicated garage behind it (a rarity in Sugarhouse! 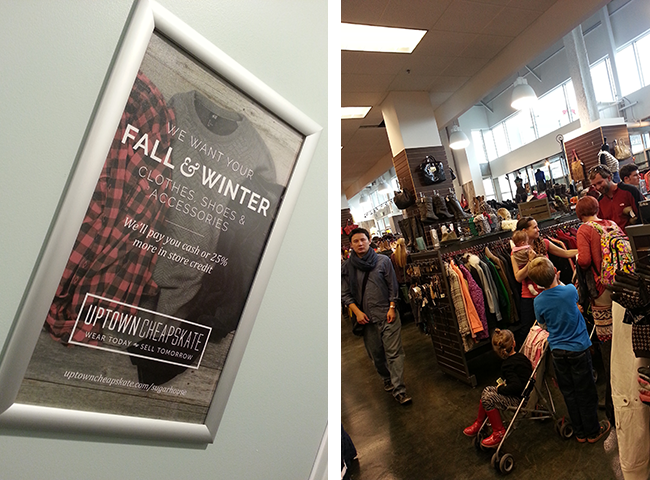 ), it should be your first stop on your fall shopping trip this year!